One of the ways you can measure how well you are doing financially is by understanding certain personal finance ratios. 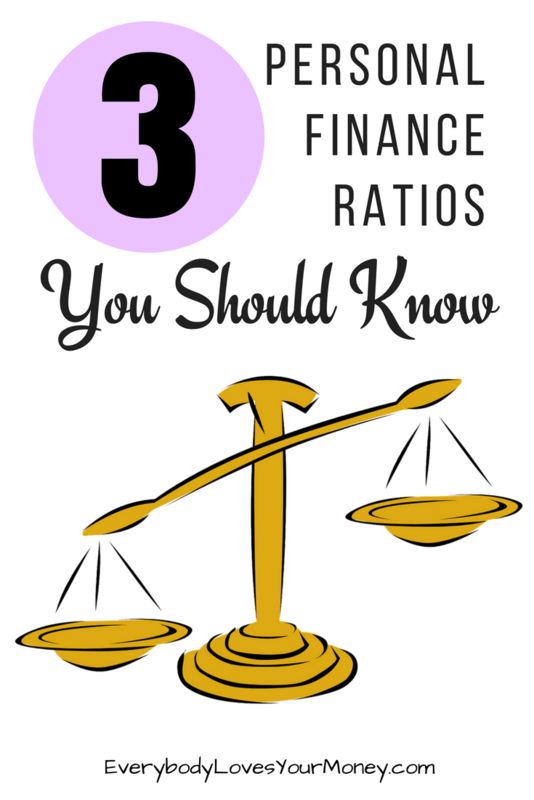 We’re going to talk about three particular ratios and how they relate you in today’s article. There are a number of ratios that personal finance aficionados like to track. Tracking those ratios helps you go beyond what your debt numbers and savings numbers are. Then, you can dig deeper into how you can help attain financial security for yourself and your family. Let’s talk about what money ratios you should uncover and what types of percentages you should work to achieve. To figure out the ratios below, simply divide the number of the cost or savings amount by your gross monthly income. For instance, if your gross monthly income is $4,000 and your house payment including taxes and insurance is $1,000, your housing cost ratio is 25%. You, then, calculate how that total is proportionate to your gross income. A safe housing cost ratio to aim for is under 30%. If you want to be extra cautious, go for under 25%. A low ratio will help you to remain comfortable with your housing costs should you experience a decrease in income. Keeping your home affordable will help ensure you’ll have less risk of foreclosure should the unexpected happen. The second of our personal finance ratios today is the total debt-to-income ratio (DTI). It’s the total of all of your debt payments (including your house payment) in comparison to your gross income. The mortgage industry will often allow a consumer’s DTI to be at 45% or sometimes even higher (including the new house payment) and still approve that person for a mortgage loan. However, earmarking 45% of your gross income for loan and other debt payments can be a recipe for disaster. It could become difficult to pay monthly minimums when other basic expenses such as food and utilities are factored in. So, a safer DTI ratio to aim for is 35%. A lower DTI will help ensure you have extra money in your budget to put aside for savings, discretionary spending, and unexpected expenses. If you haven’t put an automated savings plan in place, now is the time to start. Appropriating a percentage of money to savings each month will help you build up an ample supply of cash. That could cover job layoffs or other emergencies, big or small. Recommended savings ratios are a minimum of 10% and up to at least 20% of your monthly gross (or even net) income. If your debts and expenses are high, then you may need to start with something small. Even something like 2, 3 or 5% of each paycheck is a good beginning. What If My Ratios Aren’t What They Should Be? If you are finding that your personal finance ratios are not within suggested guidelines, you can turn things around. Therefore, making small but consistent changes in money management will help you to have healthy personal finance ratios that will improve your financial stability. After you’ve calculated one of your personal finance ratios, share your answer in the comments below!